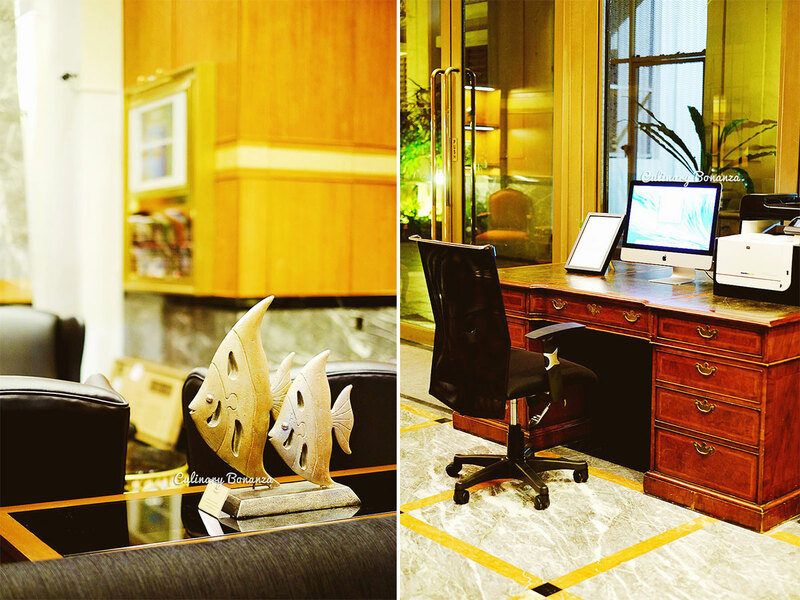 Imagine yourself staying in the convenience of a premium serviced apartment situated right in the heart of Orchard Road Singapore, and all that comes with the facilities and the convenience of a 5 star property plus some other special privileges that you get from booking with Far East Hospitality. How can one possibly not enjoy the stay here? With the increasingly stronger Singapore Dollar against Rupiah, Singapore is actually becoming a more and more expensive holiday destination for Indonesians. Actually, traveling to Singapore is, to be honest, (insanely) cheap, with the budget airlines flying many times daily and even the full-service airlines are not that expensive for this particular route. It is the accommodation cost that I find incredibly expensive, most of the time. I mean, for the same rate in Jakarta, I could stay in a suite, as opposed to a standard room in Singapore. But do not let this dampen your holiday mood, because Far East Hospitality, Singapore's largest hospitality and serviced residences operator has an awesome program that will stretch the dollars spent on your accommodation in Singapore. Which is exactly why, in my most recent trip with my family to Singapore, we chose to stay at one of the serviced apartments of Far East Hospitality and enjoyed the Far East Heritage Food Trail benefits. Far East Heritage Food Trail is not what you think it might be, it's neither a bazaar, nor a festival of Asian food. It is in fact, a 5 months long campaign / promotion that started from 1st July 2015 and will end on 30 December 2015 (or 31 March 2016 for serviced apartments). This program grants exclusive privileges and perks to guests when they book and stay at the participating properties during the aforementioned period. The perks are similar, whether you're staying at the hotel or the serviced apartment, only the quantities differ slightly. But in essence, the money you spend on paying for your accommodation at Far East, will entitle you to complimentary EZ-Link cards (loaded with SGD 5 credit each), vouchers worth SGD 30 / room, which could be redeemed at Food Republic or Bee Cheng Hiang and free ride on 'Hop-On Hop-Off' bus with 3 routes to choose from! More details of the perks, can be found at the end of this post. 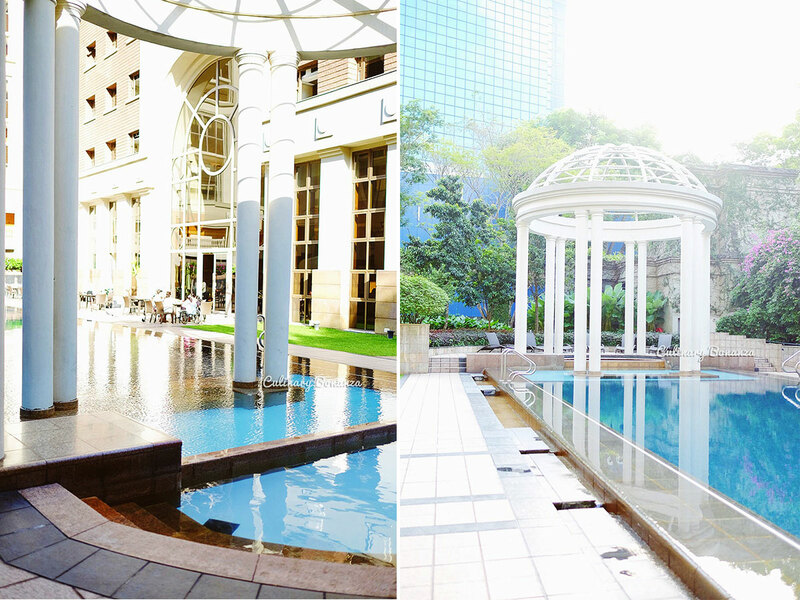 For this trip, we opted to stay at Orchard Parksuites, which is right behind Wisma Atria shopping mall. Turns out, it's the tall building with green wall facade that you see just across from Wisma Atria's Taxi Stand. I've been this area all this time and never realized that it was actually a reserve-able serviced apartment! 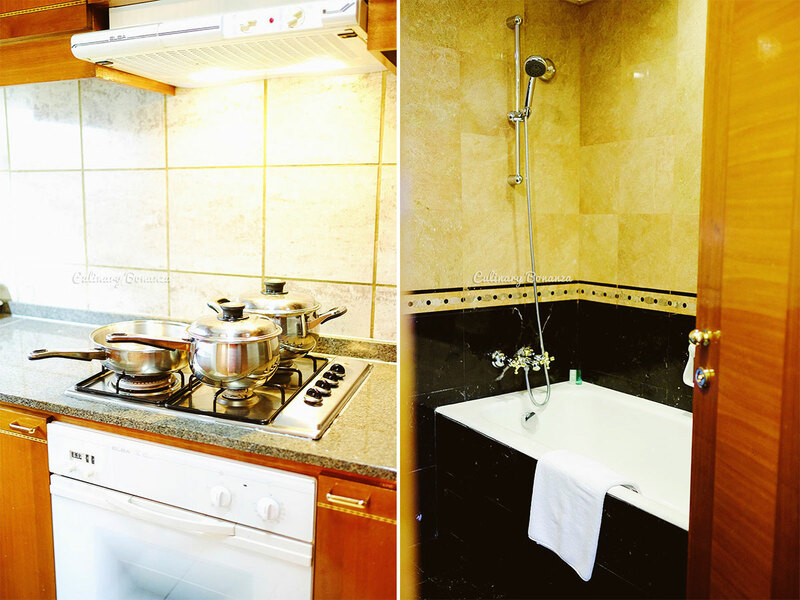 Left: the pantry equipped with oven, stove, cooking pots and pans, microwave, fridge and cutleries. 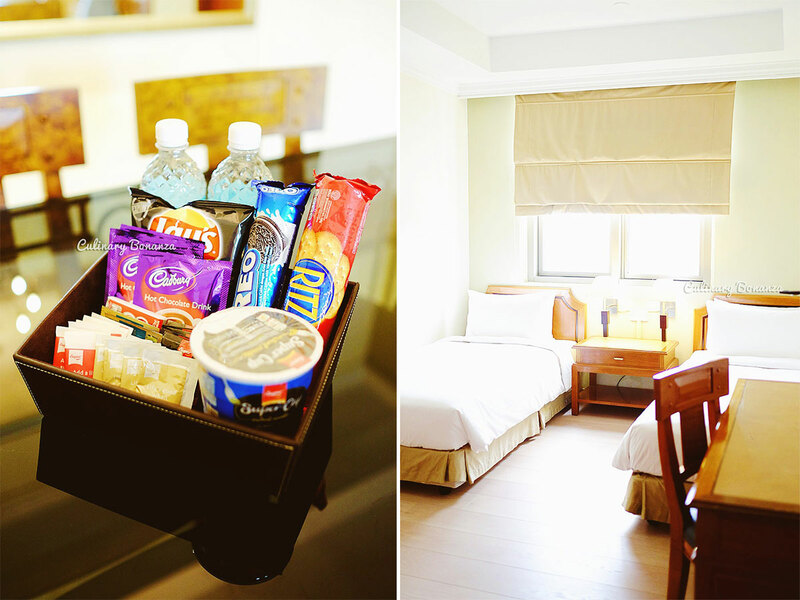 What I like most about Orchard Parksuites, is the extremely convenient location and curiously, although the property always see high occupancy, the hotel area feels quiet and serene. The only times the level occupancy was given away, is perhaps in the morning during breakfast. Everyday, from 7 - 10 am, the left wing of the lobby will be bustling with families getting their breakfast there. Despite the sheer number of people, the kitchen staff are always watchful and replenish the food quickly. The food served at breakfast is rather basic for a 5 star property such as this, but this is a serviced apartment, so I didn't put much expectations in the first place. You could find salad, fruits, bread selection, pastry, coffee, boiled egg, cereal, basically they are western style buffet breakfast. The food is quite decent, but I can live with skipping breakfast at the apartement and spare the space in my tummy for the delectable treats which I can find along Orchard. 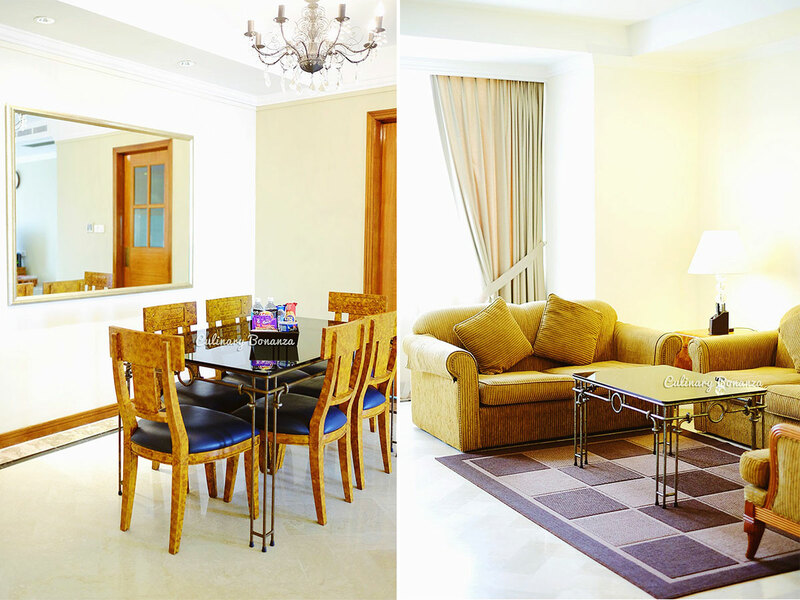 Since Orchard Parksuites is a serviced apartment, guests are entitled to 1 parking spot complimentary, but of course if you're not driving in Singapore, getting a cab is very easy and convenient anyway. 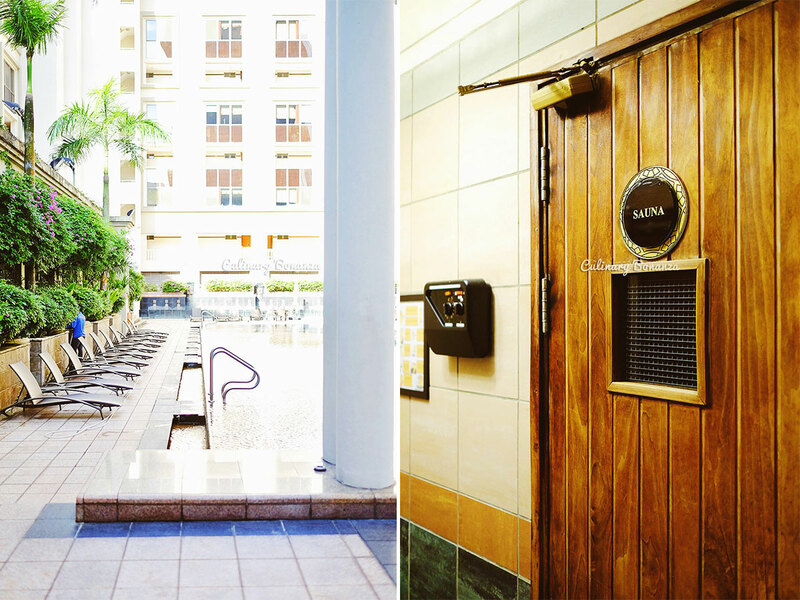 There's also a swimming pool with jacuzzi, sauna and steam rooms, tennis courts, laundry room, a BBQ pit, a 24 hours gym and a mini business center, all accessible from the lobby level. 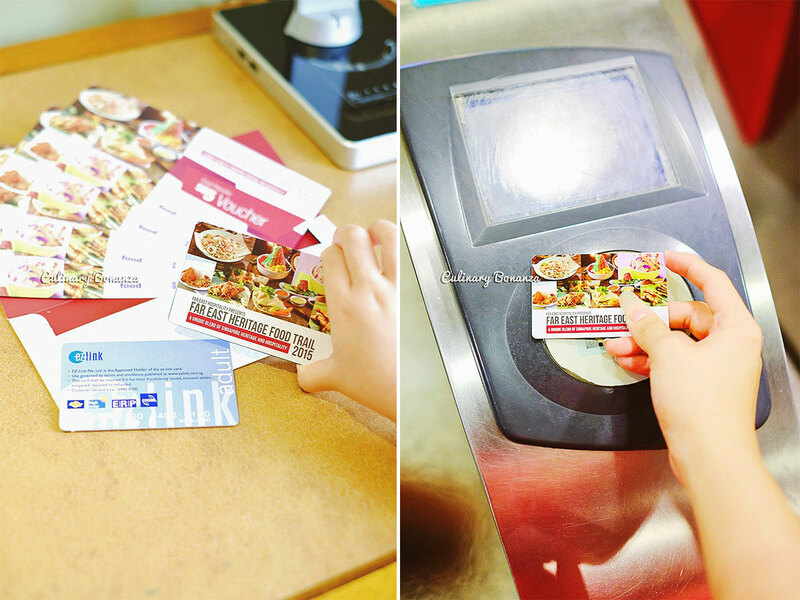 So, after checking in, we wasted no time and made a good use of the Food Republic vouchers that we received upon check in earlier. I've always liked the Food Republic at Wisma Atria, which is located on the 4th floor and it occupies almost the entire of the floor! The food stalls here offer a lot of food varieties, so there is something for everyone to eat, even for my ultra picky-eater mother. LOL! is a long-time player in the hospitality industry from Singapore, with global presence in countries and cities like Hong Kong, Germany, Australia, New Zealand, Malaysia, Denmark and Hungary, is a brand that many would be familiar with.